Picture above is the Vanquish Products Star Lube Grease (part#VPS01017). 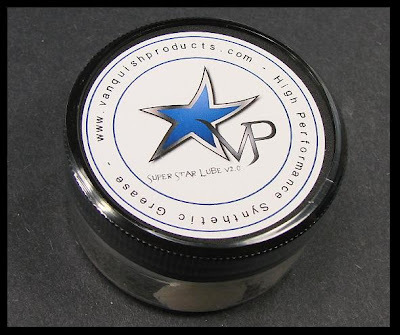 This star lube grease is a high quality synthetic grease blend. The size of the container is one ounce. The grease can be used in many applications (gear diffs, ball diffs, transmissions, etc. ).